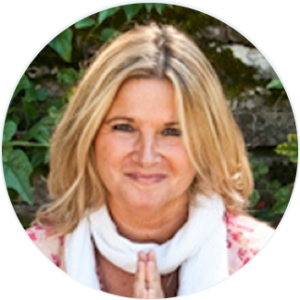 Trained by Deepak Chopra, Saul David Raye and Rama Berch (aka Swami Nirmalananda), Corrine has over 27 years experience in the healing arts. For many years Corrine has been known as the stress relief guru to the stars of Nashville. Founder of The Global Watch Foundation 501C3, Chopra Center Yoga, and most recently the Ivy House in Nashville Tennessee, Corrine’s life is one of service. Before settling down with the Ivy House she spent years traveling and teaching workshops, retreats and leading yoga tours around the world. Specializing in helping people find balance in their lives through yoga, meditation and mindfulness, Corrine created The Ivy House as a community gathering space for like-minded individuals. Whether it is through yoga, meditation, a private coaching or healing session, Corrine connects with her heart and feels what each student/client needs for their healing and growth. With a myriad or techniques to choose from, she offers hope and inspiration to everyone she comes in contact with. Utilizing the ancient techniques of yoga, meditation, combined with modern ideas such as earthing, organic gardening and non-violent communication, The Ivy House is a place to heal and learn to BE. Isn’t that funny, that we have to learn how to relax? We like to describe The Ivy House as a modern day ashram. By definition an ashram is a place to go inward, grow spiritually, receive tools for growth among a like minded community. An ashram in India would typically also include a guru, and yet the word guru simply means teacher. The Ivy House Founders/staff provide support to people of all backgrounds. We live in a very fast paced society and most people are living in frenetic numbness. Days, weeks and then years go by and then health problems start to come to the surface until you can no longer ignore your body. Most people no matter where they come from or how confident and successful they may seem, have a deep sense of unhappiness, unease and unworthiness. The only place where peace lies is deep within. No matter what your background or belief system we help find what works best for you to find inner peace. The Founders of The Ivy House are dedicated to assisting people who want to learn, who want to slow down and who want to grow and live a more conscious and mindful life. So who are we? The founders of the Ivy House are Corrine Champigny, and Colleen Brophy MD. Please read our parking guidelines carefully. 566 Croley is the alternate address that may be in a GPS though we don’t have it marked, but the city does for mapping for some reason as we are on the corner of Croley and Ivy. PLEASE DON’T PARK ON THE STREET EVER AS THERE IS PLENTY OF PARKING BOTH IN THE FRONT AND BACK DRIVEWAYS, the back drive is just pass the driveway that is on Croley, just next to the fence. Then just walk up through the back gate and into our garden and back yard! Directions from I40W. Take the White Bridge Rd exit off 40 West (make sure you don’t take the Briley exit in the new construction as that takes you past Robertson), and make a right and then immediate left onto Robertson. Don’t miss Robertson or you will have 3 miles before you can turn around. Come down about one mile until you see very large white Deluxe Made Cleaners sign on left and that street is Croley, make a left. The Ivy House is on the corner of Croley and Ivy and I have a driveway entrance from both streets. If you come up Charlotte from Nashville go across White Bridge Rd about 1/2 mile to top of hill and make a right onto Westboro. Thru a stop sign and right on Alamo. Left on Croley. Right on Ivy and first drive on right. Please note that if there are more then 8 cars in the front drive to please pull around back to park off Croley and enter from the back through the gate in the back yard!